No this isn’t the “lily white” Final Four team of 1966. This is the team the year after the “watershed event” in College Basketball History. 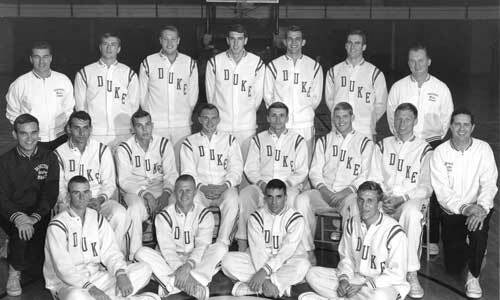 This is the Duke team that was fielded the year after Vic Bubas took an All White Team to the 1966 NCAA Men’s Basketball Final Four. 1966 is the year that Texas Western won the NCAA Tournament with the FIRST All Black Starting Five. Texas Western defeated Kentucky’s All White Starting Five. Kentucky got to that game by defeating the All White Duke Team. C.B. Claiborne would join the Duke Freshman team a year later and get his first start in January of 1967. Kentucky would sign it’s first African American — Tom Payne — two years later in 1969.